Every month I enjoy writing these articles. 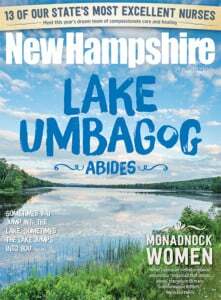 By the time this issue is out, I will have just finished New Hampshire Antiques Week and exhibited at the 54th Annual New Hampshire Antique Dealers Association Show in Manchester. Antiques Week is always an exciting week-long event and the array of antique shows brings thousands of collectors from across the country to our area. I encourage all who enjoy antiques and fine art to attend. Recently a couple came into our shop with a portrait miniature for evaluation. It is a fine piece and certainly tells a greater story about the era prior to the invention of photography and the importance of artists and portraiture. Portrait miniatures started in the 16th century in Europe, typically depicting royalty and important heraldic figures. These portraits were a commercial enterprise that continues even today with political buttons. Families would also commission special portraits to depict loved ones who were abroad in travel, shipping or war. Remember that this was a time before trains, airplanes and cameras. Loved ones would often be away for years at a time and these images were a special reminder. In the 18th century, portrait miniatures gained exclusivity and popularity in the United States by the wealthy through commissioned works that were often painted on ivory or paper. The ivory and paper bases enabled more detail and sensitivity than earlier portrait works, which were often painted on copper or gessoed wood. In the U.S. there were many popular miniature artists who are still sought after even now, such as Charles Willson Peale (American portraitist, 1741-1827) and Anson Dickinson (American miniaturist, 1779-1852). Their work can bring many thousands of dollars. A few years ago, a Charles Wilson Peale miniature of a colonel from South Carolina brought more than $100,000 at auction. Your signed miniature is European, probably French, and from the late 19th century. It is painted on ivory and is surrounded by a gilt brass frame with tapestry fabric. I would estimate its value at $500.